There's no shortage of kilig! Encounter centers on the unlikely bond of a CEO who grew up in the spotlight (Cha Soo Hyun, played by Song Hye Kyo) and a new employee of the CEO's hotel company (Kim Jin Hyuk, played by Park Bo Gum). The drama starts with a montage of Soo Hyun's life—from campaigning for her politician father and marrying into a powerful family as the wife of its corporate heir (played by Jang Seung Jo) to divorcing her husband and getting the Dongwa Hotel chain as alimony. Back to present day, Soo Hyun makes a trip to Cuba as part of her expansion plans for the hotel. Here, she meets Jin Hyuk, who has no idea who she is and, more so, that she is his future depyo-nim (boss in Korean). He pursues spending time with her and ends up touring her around Havana for a romantic night to remember. As they came back to Korea, they think their fleeting encounter was nothing. But as they meet again in Donghwa Hotel and get to know each other better, they wind up falling in love. It doesn't go easy for them, though, as they're constantly being pulled apart by their polarizing circumstances. Will they see their love through and conquer all those odds? Watch out how the slow-burn drama eventually concludes. A ridiculously handsome middle-class guy with an easy-going personality meets a ridiculously beautiful woman who's mega-rich, famous, and a truly admirable boss. They would have had a dreamy love story, but their relationship gets tested by the heroine's powerful ex-mother-in-law, her ambitious and controlling mother, and her clingy ex-husband. Song Hye Kyo's last appearance in a drama was in Descendants Of The Sun (2016) with now-hubby Song Joong Ki. The Song-Song couple got married in October 2017. Aside from attending the Song-Song wedding as a guest (he's one of Joong Ki's best celeb friends, ICYDK), he last starred in Love In The Moonlight (2016) opposite Kim Yoo Jung. Prior to playing Cha Soo Hyun's ex-husband in Encounter, Seung Jo played the charming best pal of Cha Joo Hyuk (played by Ji Sung) in Familiar Wife (2018). 1. The first international working title of the series was Boyfriend, since it's the English translation of the Korean title, Namjachingu. 2. Park Shin Woo, the director of Encounter, was also behind other memorable dramas like Jealousy Incarnate (2016) and Angel Eyes (2014). The screenwriter, Yoo Young Ah, on the other hand, was behind noteworthy movies such as Like For Likes (2016). She was also one of the writers for Miracle In Cell No. 7 (2013). 3. Hye Kyo, 36, is actually 11 years older than Bo Gum, 25. 4. In one interview for Viki, Song Hye Kyo admitted to working out so she could "blend in seamlessly" with her "handsome, young, and cute" leading man and junior, Park Bo Gum. Bo Gum, on the other hand, also worked out once he found out he was starring opposite the Song Hye Kyo. I love how the story starts with the couple meeting in a romantic foreign land. I think it's a great depiction of how meeting new people is one of the best parts of traveling solo. While the plot of a CEO pursuing a relationship with a new hire in her own company is far from believable, the unlikely pair's fateful encounters and complementing personalities make their love truly relatable. Hye Kyo does not disappoint as a strong, independent woman that many aspire to be. She's the boss that many of us would only dream of having. Who wouldn't love working for a company where the CEO cares more about ensuring the customers' prime experience instead of prioritizing profits? Who wouldn't be in awe of someone who works hard possibly to ensure that her subordinates don't work overtime and even takes them on luxurious hotel staycations as field work? Right?! 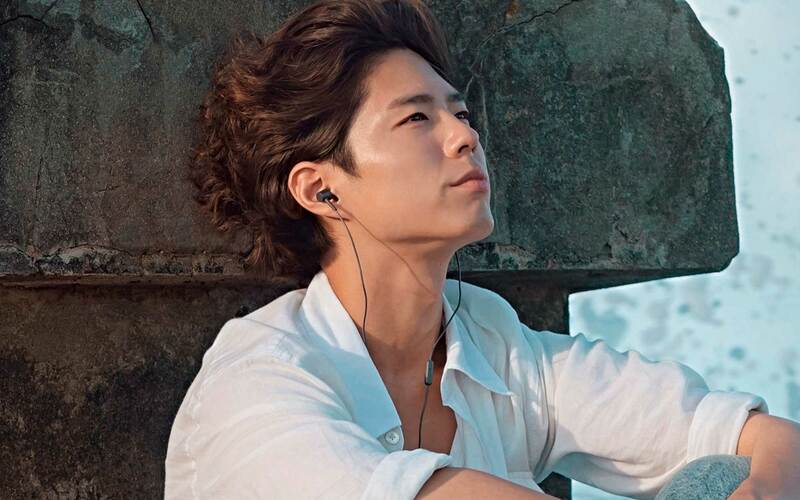 Bo Gum's bold moves and pure heart, on the other hand? OMG, too good to be true! But the buildup and the spectacularly written lines made his character feel realistic—and you can't help but feel kilig. True story: At one point, while watching an episode with a mind-blowing plot twist, my husband actually shouted cheering for him and his audacity to prove his love. And we got to talk about their kiss scenes. Does anyone else find it amazing how Hye Kyo managed to shoot such squeal-inducing romantic kisses? They weren't the demure kind as is common in rom-coms starring young actresses. I wonder if Joong Ki would dare to watch those scenes or if he could do it without wanting to punch Bo Gum in the face. LOL! There's a good chance the drama ends devastatingly. The trailers and some scenes—like when they were talking about an old couple and the woman dies—feel like they hint at a conclusion where Soo Hyun and Joo Hyuk's love conquers all... except death. Our only hopes are Hye Kyo's history of dramatic happy endings (Exhibit A: Full House. Exhibit B: That Winter, The Wind Blows. Exhibit C: Descendants Of The Sun.) Let us all pray to the K-drama gods that they don't let us down. If you're ready to get your heart ruthlessly gripped, have your ~feelings~ toyed around with, end up screaming out of kilig, and possibly experience life-ruining heartbreak, go ahead and watch Encounter. Catch the episodes of Encounter on Viu!